A new welding joint alignment fixture that is easier to use than a welding vise to align pipe or tube for tack welding and create high integrity welds has been introduced by Esco Tool of Holliston, Massachusetts. The Esco HOG TIE® Boiler Tube Weld Alignment Clamp consists of one side with two through-holes and a matching side with threaded inserts which accept two bolts that draw them together. Easy to set-up and use, this clamp aligns the pipe or tube perfectly and exposes their ends for tack welding prior to removal in order to complete the entire joint weld. 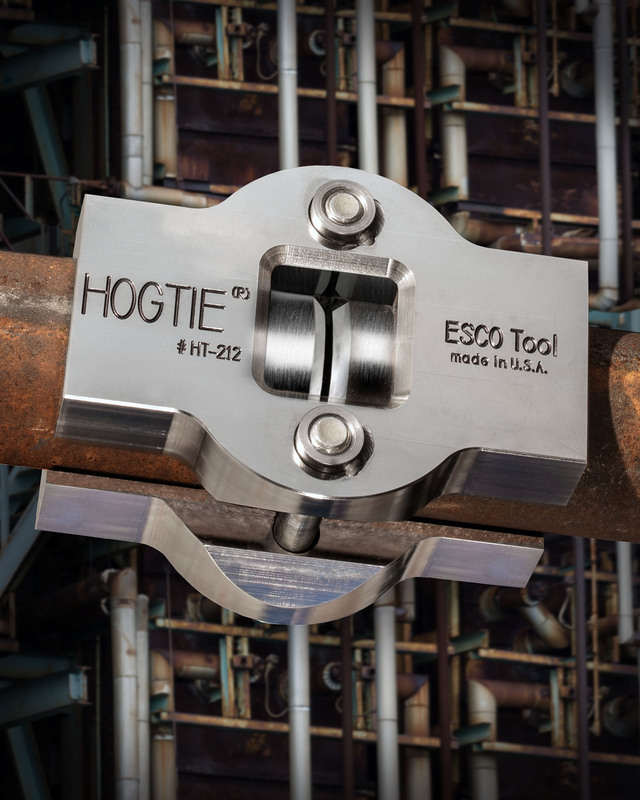 Offered in 11 sizes for pipe and tube from 1.125” to 3.25” O.D., the Esco HOG TIE® Boiler Tube Weld Alignment Clamp is made of precision machined high strength steel. This pipe alignment tool is available by itself or as a kit with an impact wrench and socket, four 0.5” bolts, two spare through-hole inserts, two spare threaded inserts, and a metal carrying case. The Esco HOG TIE® Boiler Tube Weld Alignment Clamp Kit sells for $795.00 and can be rented for $77.00 per week; with 24-hour shipment available.